I’ve added sharing buttons and enabled comments on a few recent posts. I’ll be working my way back through the old posts including these options through the next few days. Cars have been a focal point of my life since I was a small child. No one in my family is similarly afflicted so the only explanation is I have a “car” gene. My first word was “truck” and by the age of 3 or 4 I knew the name of every car on the road. I built and collected model cars throughout boyhood. By the time I was thirteen I began my lifetime habit of devouring car magazines. It was my first copy of Road & Track that really set the course of my automotive journey. I don’t remember any of the road tests but I remember an article about the Grand Prix of Monaco. I had never seen such stunningly elegant cars. The open wheels, the slender single seat body and the fabulous engine out back with all the exhaust and suspension visible got my heart pounding and established a criteria of automotive beauty that remains with me to this day. The article was also my introduction to a group of hero drivers like Stirling Moss, Graham Hill, Jim Clark, Phil Hill and Dan Gurney. But it was the setting that really opened my eyes. 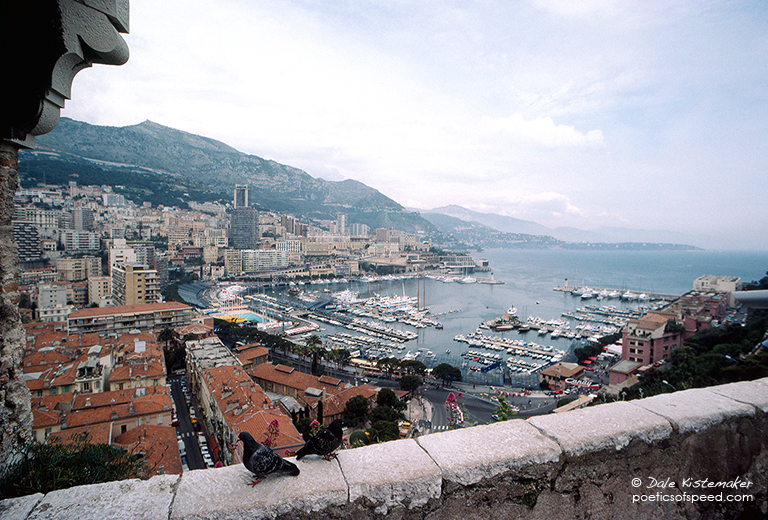 Growing up in Cleveland, Ohio I had never seen anything like Monaco and I clearly remember it was the catalyst for the realization that the world outside my home was very different and filled with exciting possibilities.